"It looks like things are moving along with Akira at last. After nearly twenty years in limbo, Hollywood is making progress with its live-action adaptation of Katsuhiro Otoma’s iconic manga. 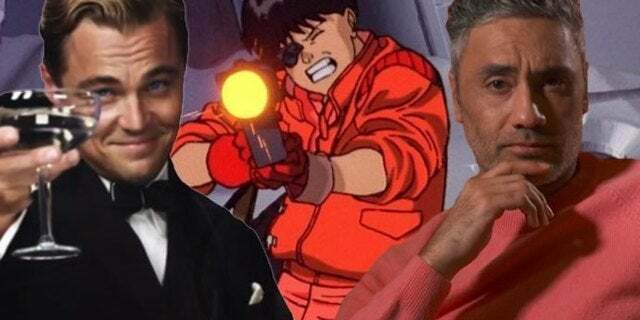 According to new reports, Akira is moving forward, and it is doing so with some star-studded crew members. According to The Hollywood Reporter, Akira is making headway in California. The trade is reporting the live-action adaptation is being headed up by Taika Waititi, the director behind films like Thor: Ragnarok. He will be joined by producer Leonardo DiCaprio (via Appian Way) as well as Andrew Lazar. The report came courtesy of a recent tax credit reveal published by the California Film Commissions’s Film & TV Tax Credit Program. It turns out Akirawill film in California and receive a tax credit to the tune of $18.5 million. So far, Warner Bros. Pictures has yet to cast any talent for the adaptation. Fans are eyeing the project with caution as Akira has become somewhat of a myth amongst film fans. The title is heralded as one of Japan’s most famous as Otoma’s post-apocalyptic series helped genre-bend the science fiction realm. Now, fans are curious how a war-torn take of Tokyo will be brought to life in California for filming, but this tax credit could go a long way in setting stages for Akira." This is one of those films that's going to have a hard time meeting expectations--if it ever gets made.